The towns of Pommard and Volnay are giants of the Côte de Beaune reds. Though less than a mile apart, the two towns represent opposing profiles – Volnay tending toward elegant and feminine, and Pommard toward sturdy and masculine. As neighbors they provide an excellent example of the microterroirs of Burgundy. But as you might expect, terroir shift exists on a continuum. As you approach the border, the differences between the towns blur a bit, and it’s there that we find today’s wine. 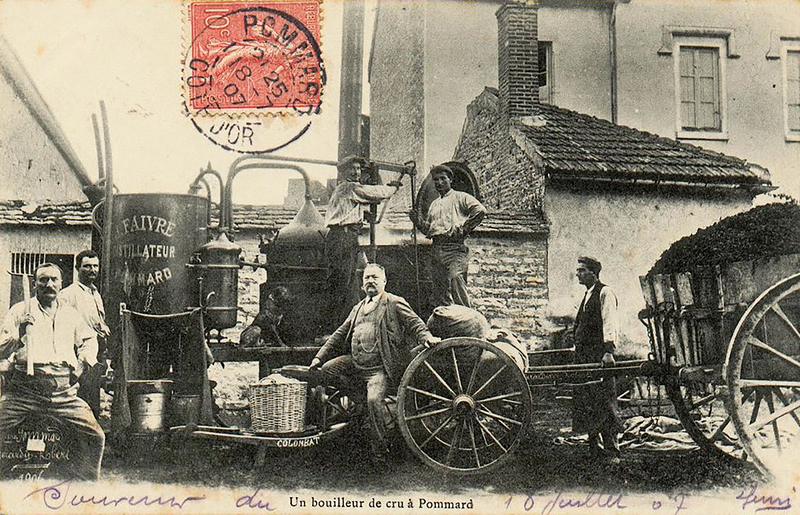 It’s a Pommard by name, but borrows a bit of elegance from its neighbor to the south. Grown from three plots in the appellation of Pommard, it’s the vines from near Volnay border that dominate this wine. The nose is pretty and exotic, with soy sauce and spices alongside the classic raspberry fruit. The mouth shows dry blackberries, with elegant, delicate, long mouthfeel. This will benefit from another few years of cellaring, but given a carafe and an hour to breathe, it’s delightfully drinkable today. Pair it carefully with a mild steak or tenderloin, and this is a charming glass of old-world, old-school Burgundy.